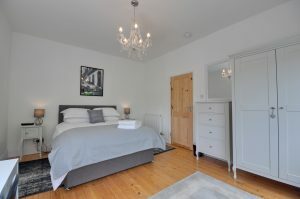 Paddle in the sea, relax on the sand and walk up through the leafy chine to find this peaceful hideaway, aptly named – The Haven. 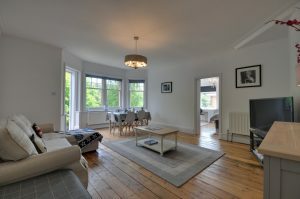 The warm colours and wooden floors create a cosy, family vibe and will only create the best memories that you will talk about for years to come. Pack your flip flops and gather your favourite people for a holiday by the seaside! 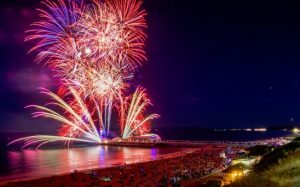 Starting at 10pm at Bournemouth seafront, we know you’ll love watching the skies light up! The last show of the summer is on 24th August. Don’t miss it! The Air Festival can be viewed from across the Bournemouth coastline. Whatever you want to see, be it on land, sea or in the air – don’t forget that you can get the best views right on the beach and on the central flight line. HURRY – Only a few properties left to celebrate the kids going back to school in September!